You will receive: 1 Toilet Paper Holder. Holds standard size 4-1/2" tall toilet paper rolls. Hooks easily over the tank. Outstanding bathroom accessory for where you dont want to mount the toilet paper holder on the wall. 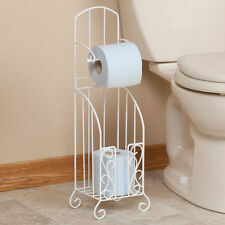 Free standing cast iron toilet paper holder stands 28" tall and is easily portable. Features a large ornate anchor on the bottom and a smaller one on the top to use as a carry handle. Clear shapes and the high class Stainless Steel material make Blomus living accessories an eyecatcher in every house. Blomus products are modern and easy to use - trendy but also classics. Simple elegant and sleekThis Blomus free-standing toilet paper holder can be set next to any toilet. 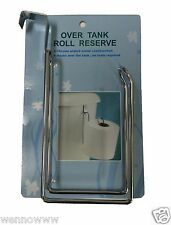 Blomus polished stainless steel toilet paper roll holder. Designed By And Made For Blomus Germany. Designed To Hold Up To 4 Standard Toilet Tissue Rolls. Bedroom Furniture (400). Bathroom Furniture (6313). Let your bathroom reflect your faith, as it adds storage to the room, with this Bronze Colored Cross Toilet Paper Holder. Toilet Tissue Holder. 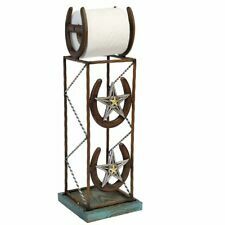 New Cross & Scroll Toilet Paper Storage and Holder. I apologize if this is inconvenient but the distributor does not allow cancellations or changes. Tide 4 x 3.92 in. Category: Furniture, Bath & Shower Fixtures, Bathroom Accessories, Toilet paper & holders. Ultra Soft Bathroom Tissue. Easy to use and convenient designs. Tools for different applications. Color: Stainless Steel. German design and German Stainless Steel. 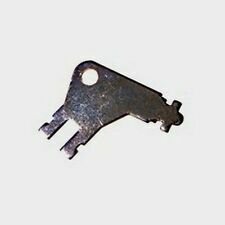 Made from 18/10 Surgical grade Stainless Steel. Are you a designer or builder with a large project?. Want to buy for less?. So why buy from us?. Color/Finish: Nickel. Bar Furniture (529). Our goal is to provide you with a huge selection and the freedom to choose from only top quality products, without overwhelming you with poor value options. Chicken wire toilet paper holder. Fits any roll of toilet paper, even the larger double rolls. 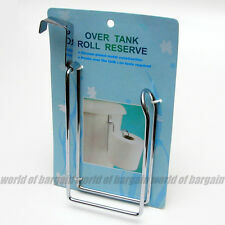 FUNCTIONAL TOILET PAPER HOLDER: Sturdy toilet tissue holder holds 3 rolls in the reserve canister. Slim design to fit in your closet, bathroom, or next to the toilet. Perfect for master bathroom, guest bathroom, kid's bathroom, or RV. These beautiful wrought iron roll holders are elegant and durable. Made from wrought iron with a flat black rust resistant powder coating. Hand crafted with an iron finish in powder black. This is a solid quarter sawn oak toilet paper holder. It is made in the Mission or Arts and Crafts or Craftsman style. It is 7" tall, 6 1/2" wide and 6" deep. The finish is clear satin polyurethane. This is for one of our new Laser cut BATHROOM TP HOLDER. These are cut from a 16Ga steel and Powder Coated for great looks and durability. Powder coated a copper / rust color. One of these will make a great addition to any Bathroom and makes a great eye catching display for your TP. The HDE Camera Film Roll Toilet Paper Holder makes a fun gift, especially for photographers and anyone who loves quirky accessories! This cool novelty toilet roll holder is made of plastic and has been fashioned to look just like a camera film roll. All you need to do is hook it onto the wall by adding a few screws, take the top off and insert a roll of toilet tissue inside. Simply feed the paper through the opening down the side and then reel off as many sheets as you require! You can also use this fabulous film canister as a tissue box too. Just pop some tissues in and then feed them through the hole in the top!. Made of a Pecan Shell Resin Materical to Closely Mimic the Look and Feel of Wood. Baby & Kids' Furniture (2810). Our goal is to provide you with a huge selection and the freedom to choose from only top quality products, without overwhelming you with poor value options. Gets its rustic charm from the traditional country outhouse. Mount it on the wall to hold a roll in use. Ready to hang. Once your order has been processed/placed it can not be canceled or changed,NO Exceptions. You will receive: 2 Toilet Paper Holder. Holds standard size 4-1/2" tall toilet paper rolls. Hooks easily over the tank. Bathroom: Eliminate unsightly wipe pouches lying around on your tank or on your counter-top. Forever Fresh is discrete. Wet wipes are the new way to stay Forever Fresh. Great for kids, adults, and the elderly. THIS IS FOR A BULL ELK IN TREES DESIGN. This is for one of our new Laser cut BATHROOM TP HOLDER. These are cut from a 16Ga steel and Powder Coated for great looks and durability. Powder coated a SATIN BLACK color. Detailed instructions and mounting hardware included for easy installation. This toilet paper holder and dispenser features an intricate scroll design with a bronze coated finish that adds an elegant flair to your bathroom. The holder conveniently holds 3 spare toilet paper rolls in the base and dispenses a single toilet paper roll at the top. The holder conveniently holds 3 spare toilet paper rolls in the base and dispenses a single toilet paper roll at the top. The freestanding and lightweight design makes it easy to tuck away neatly in the corner of the bathroom. Category: Furniture, Bath & Shower Fixtures, Bathroom Accessories, Toilet paper & holders. This sweet tissue roll holder came from my husband’s grandmother’s estate. I am selling many Antique finds from her estate so check out my other listings for many more treasures. This Boutross hand embroidered tissue roll holder features a Madeira crest emblem on both sides. The scalloped edges are beautiful! It is made with Irish linen. This has been in storage in the original packaging. It is being sold AS-IS in the condition found. Please see all pictures for more specifics. I’ll be glad to answer any questions or provide more pictures upon request. HOLDS PAPER TOWELS OR TOILET PAPER - Conveniently holds up to three rolls of toilet paper or one roll of paper towels - stands 19" high, about 4" wide. Never forget where you put the paper towels. 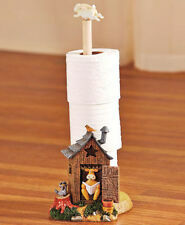 Tower Toilet Paper Stand With Tray - White. because it is compact design, it does not get in the way and be placed in the toilet. Category: Furniture, Bath & Shower Fixtures, Bathroom Accessories, Toilet paper & holders. This attractive toilet paper holder will make a stylish storage solution for your bath. The bar at the top holds two rolls of toilet paper (not incl.). while the basket below can be used for extra rolls, reading materials and more. Made of a Pecan Shell Resin Materical to Closely Mimic the Look and Feel of Wood. Bedroom Furniture (400). Bathroom Furniture (6313). Skin Care, Bath & Body (73). Are you a designer or builder with a large project?. Add a touch of nature's beauty to your bathroom with this rustic pine cone toilet paper holder. Tissue roll not included, imported. 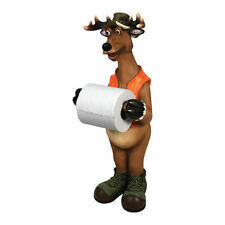 We have added another design to our collection of Toilet Tissue Holders! Made of Cedar, It has a flat top, A shelf on top--But No Roller. Each one Unique. It holds four extra rolls of paper inside. Introducing the Blomus Nexio Toilet Roll Holder, where its slick and clean design fits for any kinds of bathroom design. The brushed stainless steel exterior look is designed to help add an extra touch to the premium feel and look. The Hanger features an ornate silver-painted cross with embedded turquoise gems at the end of the Toilet Paper Holder. Your guests will admire the fine details of this signature bathroom decoration.